*Using imported high-strength PC&ABS material, resistance to impact and breakage. *Built-in 2200mAh Lithium rechargeable battery, Service life>5000h, it can last lighting 50 hours (The strongest light)-100 hours (The weakest light) in the state of full power. * Color temperature: 6500K, adjust the brightness according to your needs. 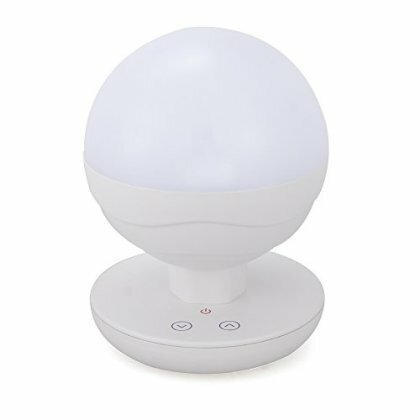 *Stepless touch control, and the brightness is adjustable, it can also memorize the brightness setting when turn it ON/OFF each time. *There is a automatic retract strap at the bottom, which can be hanged or handheld, suitable for outdoor use.